I must say, I'm not quite over my current sequin fascination - especially when they double as confetti! 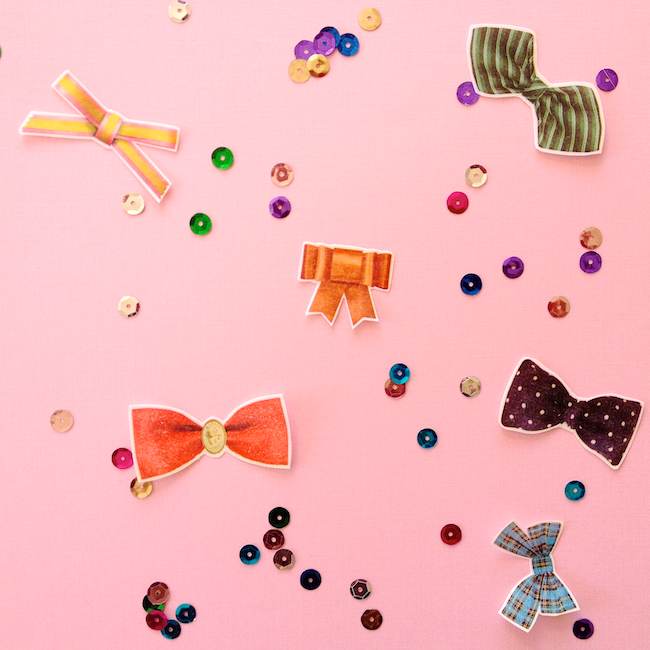 Washi tape bow stickers (find the secret to making your own here) and sequins are fast friends! See how friendly they are peeking through the vellum? 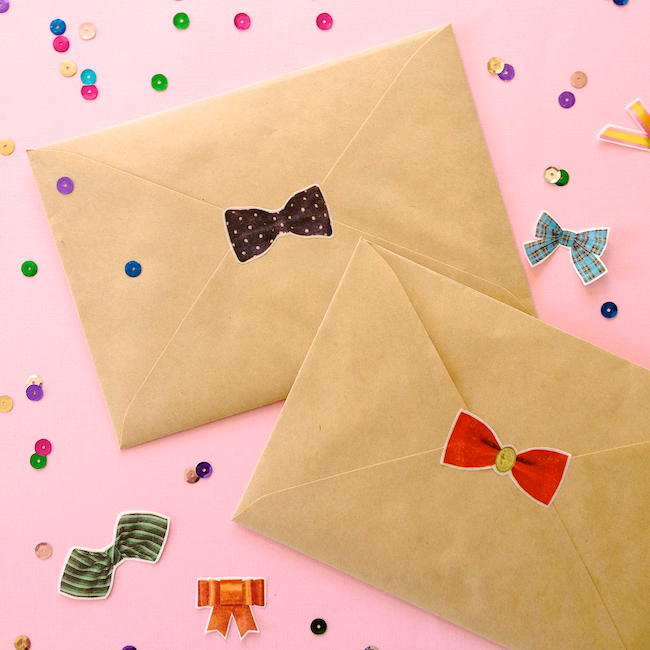 Party in an envelope! 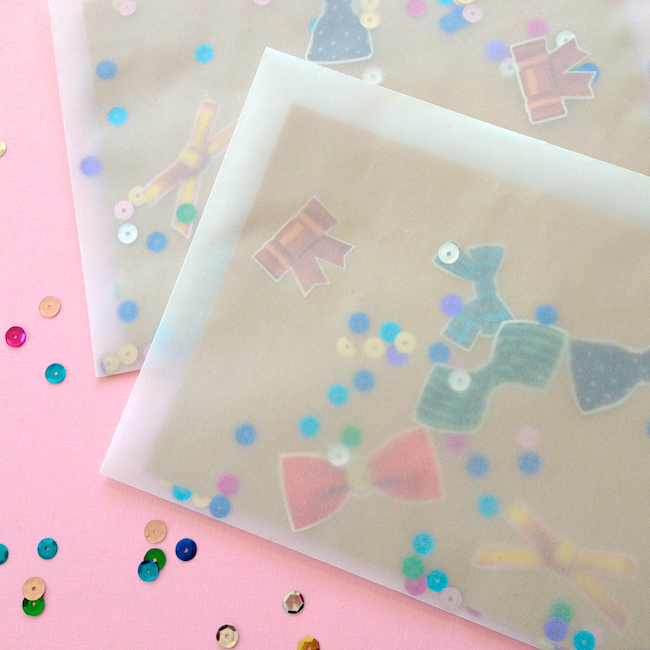 Dug into my pretty stationery stash (do you have one too?) 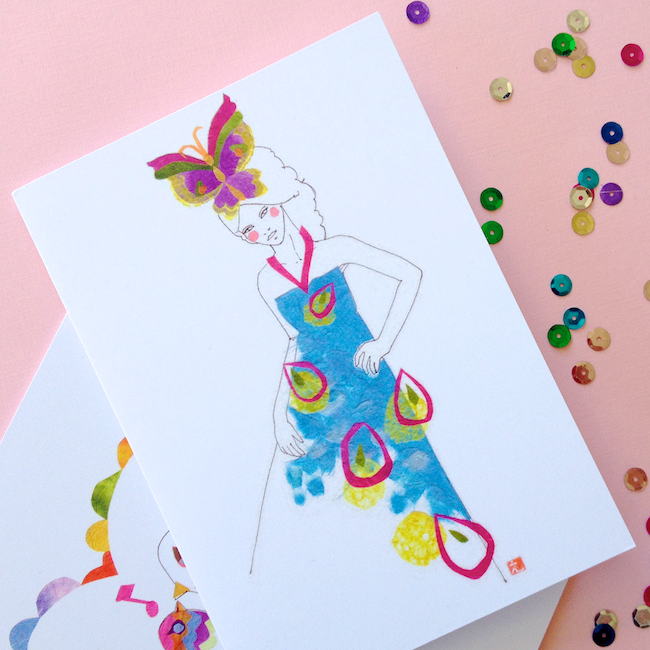 and picked out these lovely cards from illustrator Erica Sharp. 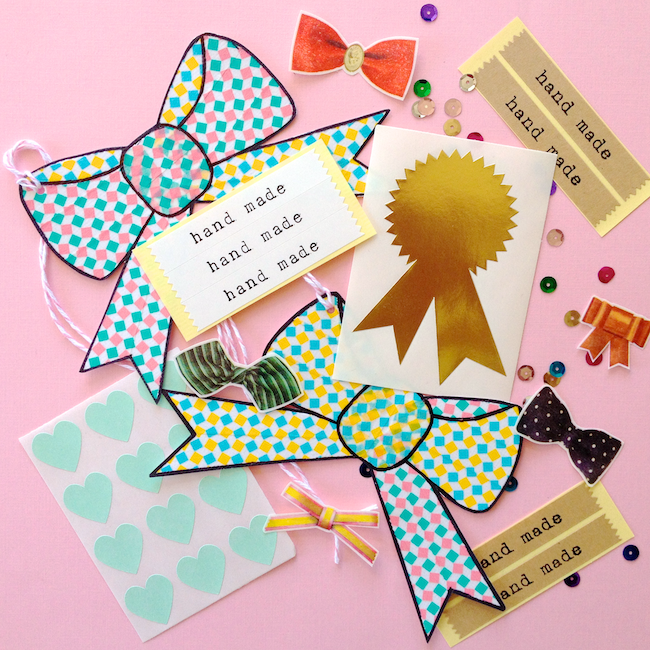 And a washi tape bow sticker as a finishing touch on the inner envelope. 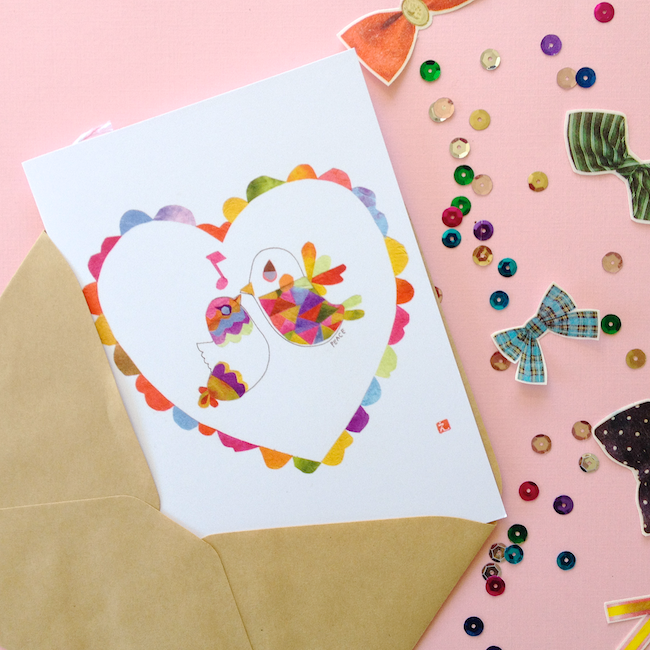 Sweet!Have you sent any pretty mail lately? oooh pretty! I love confetti ever so much! 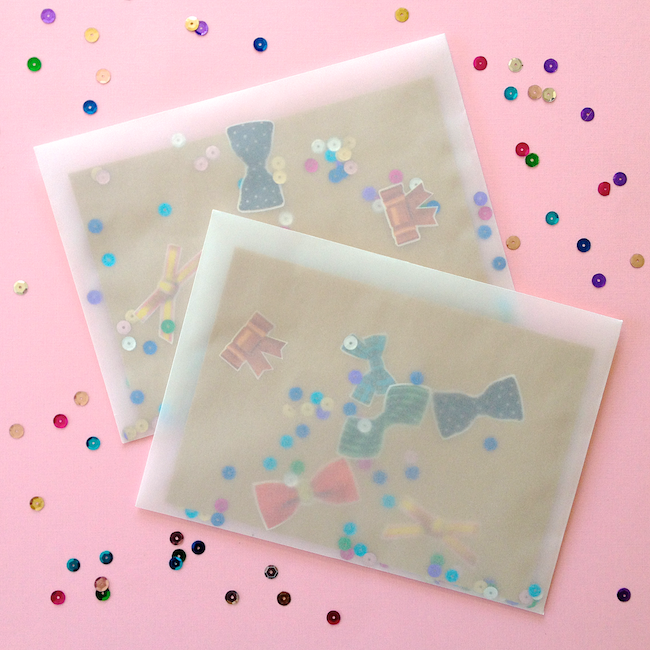 using sequins as confetti is such a cute idea! Thanks so much Sarah - so sweet!